Y O U T U B E S O U N D B R A N D S – A N D W H Y Y O U N E E D O N E ! 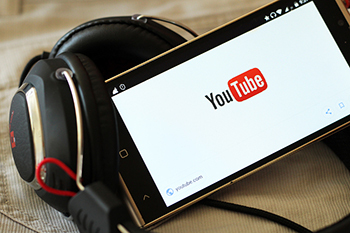 There is one thing that all famous YouTubers have in common whether it be vlogging, tech reviewing, sketch comedy, cooking or just about any other genre or sub genre on YouTube that has found mass audience appeal – a sound brand. In this entry, let’s take a closer look at the Top 3 YouTubers whose sound branding absolutely is on point. But first, what is a sound brand? Well take a moment and think of your all time favorite YouTuber and ask yourself “Do they have an intro and outro with a notable music loops or sound effects?” “Do they have background music or regular sound effects that you have come to recognize to be synonymous with the show?” Those are all prime examples of a sound brand. Sounds, effects, and music loops all easily obtained from websites such as AudioMicro.com but utilized and regularly fed back to the audience in a way that the sound or loop itself becomes iconically entwined with the show. The overall ability that even if you just heard the music and sounds commonly used in your favorite YouTube series without seeing any visuals that you would immediately be able to identify the show is evidence of successful sound branding and what helps make the biggest youtube channels. The man who invented the vlog – Casey Neistat. Easily one of the most popular youtubers on the platform these days. He understood early on the importance of creating a prominent sound brand within his vlogs and he quickly incorporated his skateboard grunge esthetic into everything he possibly could; especially so in regards to sound. Each vlog will kick off with his intro and original track followed by a series of background grunge loops and tracks he’s curated and compiled over the years and will use when he needs to subtley convey different emotions he is trying to evoke in sections of his vlog. The background music content he uses has become so popular as his sound brand that you can even search on YouTube playlist mixes of Casey’s Neistat that they too has millions of listens. Without his sound branding Casey Neistat’s vlogs would lack the emotional punch and drive they so inherently carry. Check out some of his vlogs and see how skillfully sound branding can enhance your project. Video games are always – ALWAYS – all the rage, and YouTube is no exception. Close on the heels of live Twitch streams comes a dedicated bunch of gamers on the YouTube platform with incredibly sizable fan bases. One particular YouTube gamer, Mat Pat at Game Theory, has found a niche of researching a games lore and developing new and sometimes unexpected theories about the games we all hold near and dear. From his branded musical intro followed by him toting off his notable slogan “Hey Guys! Welcome to Game Theory” altogether creates an incredibly recognizable and powerful sound brand. It’s this one-two punch of branding that I find so effective that I’ve even caught myself humming along to the intro and matching Mat’s slogan as a new episode comes on. The singing and variety series comedic duo, Rhett and Link, who host Good Mythical Morning have been mainstream YouTubers since the very beginning of the platform. Early on in their career they realized the importance of creating a premium sound brand. Nowadays their primary show is a daily variety comedy series called Good Mythical Morning. Each episode may cover a new subject and content but in each episode their is a clear and recognizable opening and closing bumper along with notable transition sounds and background music. They recently just started their 15th season (Wow!) and following their trend the only thing that changes between seasons is their intro and outro sound branding which I find to be a refreshing way to audibly cue the listeners into feeling the show has a new layer of renewed energy even after so many seasons. There you have it! You know realize the best YouTubers are in part the ones who know how to create a memorable and lasting sound brands for their fan base. Now you know it’s not just what you show the audience, but it’s also how you sound to the audience that can a leave a lasting impression that goes far beyond after the video is over. If you’re in the market to develop your very own sound brand and don’t quite know where to start may I humbly suggest checking out AudioMicro.com for all your sounds, effects, and music loops needs to get up and running quickly and sounding amazing! What do you think? Are these the freshest sound brands on Youtube at the moment? Do you know someone with a better sound brand or think we missed one? We’re always down to check out new and amazing talent on YouTube. Let us know in the comments below! Sound Effects are a driving force behind every film that can steer the audience’s emotions and expectations. An image of a door could be shown but the audience would know the emotional tone whether they heard the sounds of wine glasses clinking with plates and silverware milling about , or alternatively bone cracking and chainsaws revving. In one instance the audience is invited into a feast and the other they want to run in horror. The senses follow the sounds. Creating high quality sounds to use in one’s films is an undertaking and an art form in itself. In one instance there is a vast array of high quality sounds already available to you at AudioMicro.com, but sometimes you just want that personal touch and feel the drive to create your own sound effects. In this post we will be taking a look at what exactly goes into making a custom high quality sound effect and a brief history of how it all came to be. One of the great unsung heroes of any movie is easily the Foley Artist. These artists are the ones who create all the sound effects you hear throughout the film by using everyday objects in unexpected ways to generate unique sounds. Think banging a couple of coconut shells together to create the sound of a horse galloping like in Monty Python’s Holy Grail; that is a prime example of foley sound. While on location of a film, modern day audio equipment is optimized for picking up the actors voice while cancelling out all the surrounding and background sounds that would breath life into the scene. This could be something subtle like the actor’s footsteps, opening a door, or even just scratching his own face, to the more in your face fighting scenes, scuffling, clashing swords, etc. It is these artists’ job to find out how to recreate any sound imaginable for any given scene and convince the audience it’s the real thing. Some examples of this would be something like stepping on VHS tape to create the sound of walking through autumn leaves. You can then pick up the same VHS tape and shake it to give the sense of bushes rustling in the wind. Another example would be stepping on a bag full of corn starch to create that sound of fresh snow crunching and compressing as its walked on. Even snapping or twisting a bunch of celery can sound like bones cracking or breaking. At the end of the day if the foley artist did his job right you will never know he did anything at all. 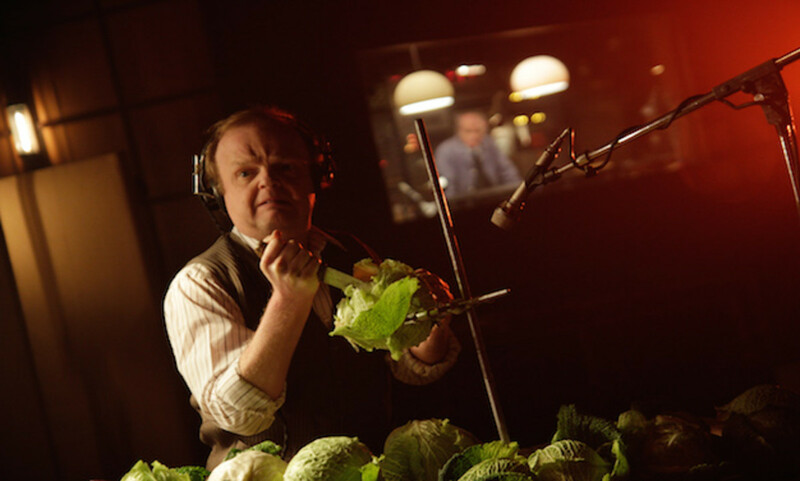 Before this method of foley sound became mainstream in film it was common practice for the time to have sound effects added into broadcasted radio plays to help paint a richer picture of what is happening for the audience. This is what helped pave the way for post sound effects to emerge into film. The term Foley Artists comes from its creator, Jack Donovan Foley, who as a Universal employee developed the method of performing sound effects in sync with the film’s moving picture in post production back in the early mid 1900s. Jack and his team would have the movie projected in front of them and perform all the post sounds needed in one go and record it on one single track. Nowadays with the invention of computers and development of Non Linear Editing there are infinite amounts of tracks sounds can be recorded, retimed, and adjusted on that simply did not exist back then. At the time this method of creating post sound was called ‘Direct to Picture,’ and it wasn’t until years later that it became known as foley. Today the common set up for post sound is 2 foley artists and 1 sound mixer on the mixing stage. The two artists will work in tandem to create the sound and will work from visual markers and cues projected on the film supplied by the mixer to help them match timing. However, these days it’s less critical if an artist misses the timing as this can be adjusted by the mixer, but making sure the feel of the sound matches perfectly is more of what’s necessary. These specialized mixing stages the foley artists work on will commonly have special sectioned floors with various textures and materials to step on to create various sounds. Along with having an ever expanding warehouse full of props and everyday items they have catalogued and can use at any given moment. In the instance that you might need to add some foley sound to one of your own projects you can always go simple and experiment with a basic audio mic recording various sounds like footsteps, slamming doors, breaking celery and then test it out by cutting and remixing the sound back into your edit. If you need something more robust and professional sounding, or you simply don’t quite know how to get that exact perfect sound effect you’re looking for – audiomicro.com has you covered! Just head to the website, select sound effects, and search for anything you need! There are literally 1000s of professional high quality sound effects to choose from that you can remix and cut back into your projects with confidence.